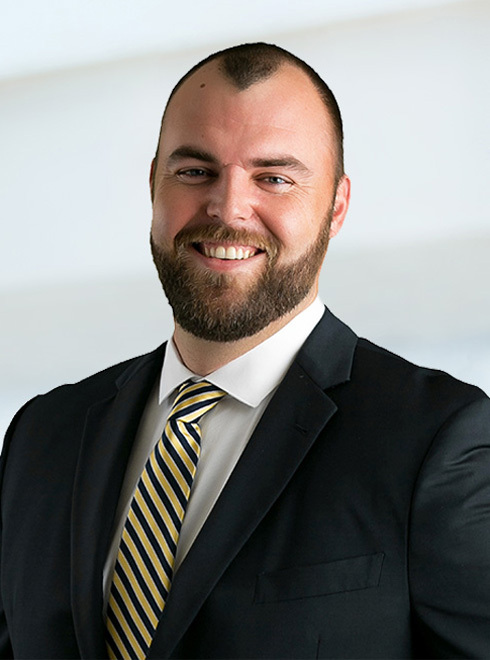 Dalton B. Phillips joined Robinson Calcagnie, Inc. in 2010 and has devoted his practice to obtaining recoveries in wrongful death and catastrophic injury cases. Mr. Phillips’ areas of practice include negligence, defective products, premises liability, government claims, dangerous conditions of public and private property, industrial and construction accidents, traumatic brain injuries, amputation, spinal cord injuries, catastrophic burns, bicycle accidents, airplane/aviation accidents and accidents involving commercial vehicles. Mr. Phillips has been a part of Robinson Calcagnie, Inc. teams that have recovered numerous seven figure results for their clients at both settlement and at trial. In 2014, Mr. Phillips went to trial with Robinson Calcagnie, Inc. partners Jeoffrey Robinson and Allan Davis and obtained a $4 million dollar verdict for the parents of a young man who was tragically struck and killed by a commercial van while riding his bicycle. In 2015, Mr. Phillips obtained a settlement in the amount of $3.5 million dollars for the wife of a gentleman who was struck and killed by a component that detached from a semi-truck while on a local freeway. Mr. Phillips is admitted to the California bar and is also admitted to practice before the United States District Court, Central District of California. He is a member of the American Bar Association (ABA), the Orange County Bar Association (OCBA), Orange County Trial Lawyers Association (OCTLA), and the National Crime Victim Bar Association. Mr. Phillips graduated from Whittier Law School in 2013 and received several awards for achievement during law school, including the CALI Excellence for the Future Award. He received his undergraduate degree from Syracuse University where he was a member of the football team, a two-time varsity letter recipient, a two-time Academic All-Big East selection, and a member of the Pi Sigma Alpha National Political Science Honor Society. In his free time, Mr. Phillips enjoys reading, working out, fishing, camping, snow-sports and football.